by Maggie Thornton*: The recent Republican debate's question about waterboarding has brought the discussion to the fore again. 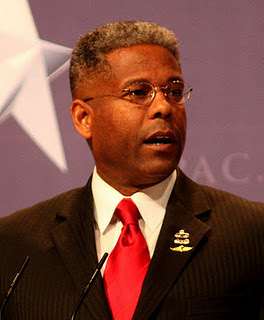 Florida's Congressman Allen West has some clear thoughts on the subject. You may remember that then-Colonel Allen West fired a bullet past the head of an Iraqi man who had information on explosives that put his men at risk. The whizzing bullet happened, and then the man started talking. West was brought before a board to explain why he took the action (that didn't hurt the Iraqi) and his answer was, "I will walk through hell with a gas can to save my men." That's an American hero. So, no surprise that West was asked, this week, to talk about waterboarding once again. First he reminded that actress Demi Moore was waterboarded in the movie GI Jane. As you would expect, West is concerned about the possible funding cuts to the Military if Congress can't get it's act together and drastically slash spending. He discusses the reality of those funding cuts and says we cannot make our Military, their families and Veterans, the bill payers for fiscal irresponsibility. The President is the benefactor of a lot of information that came from waterboarding and the important thing is, when you look at the precedent, non-state, non-uniformed belligerents captured on the battle field, under the Geneva Convention are not afforded the same type of rights. We can make that determination. As the President, you need to do those things which are necessary to make sure the American people are kept safe. I see that when we continue to read Miranda Rights to such as the Underwear Bomber, we are using the leverage and advantage we have, and in the movie GI Jane, DemiMoore was waterboarded and we do use that in military training and survival escape and evasion training. I'm very concerned. 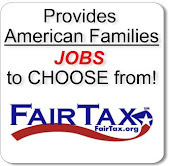 What we saw last week was members on the House and Senate side showed that you can get revenues, not by raising taxes, but by simply lowering rates and eliminating loopholes and other savings within the tax code, and they walked away from it. So it's interesting. I have this little sheet I carry around talking about the impacts of defense. You are talking about an Army that goes from 569,000 down to 426,000. You are talking about going from 288 Navy war vessels down to 238. One hundred Army maneuver battalions down to 60-70. We can't have...the Military, the families of the Military and the Veterans, the bill payers of fiscal irresponsibility. View the video at the Fox News link above. * Maggie Thornton is a conservative blogger ib Tulsa, Oklahoma, She writes at Maggie's Notebook and contributes to other blogs including Monkey in the Middle on which this article first appeared. Tags: Allen West, Florida, US representative, downsizing military, torture To share or post to your site, click on "Post Link". Please mention / link to America's Best Choice. Thanks! Posted by Bill Smith : Post Link --> 2:30 PM 0 Comments - Share Yours! Tags: GOP, Republican, Presidential Debate, CNN, Heritage Foundation watch party, friends, neighbors To share or post to your site, click on "Post Link". Please mention / link to America's Best Choice. Thanks! Posted by Bill Smith : Post Link --> 11:10 AM 0 Comments - Share Yours! Tags: Adam Hasner, candidate, US Senate, Florida, conservative To share or post to your site, click on "Post Link". Please mention / link to America's Best Choice. Thanks! Posted by Bill Smith : Post Link --> 8:35 AM 0 Comments - Share Yours! Marco Rubio: "Republicans are Pro Immigrants"
Tags: Senator, Marco Rubio, Florida, republicans, immigration, legal immigration To share or post to your site, click on "Post Link". Please mention / link to America's Best Choice. Thanks! Posted by Bill Smith : Post Link --> 8:29 AM 2 Comments - Share Yours! Following Tuesday’s call for PIP insurance reform, Governor Rick Scott is releasing a video that samples just a few of the stories he’s heard from everyday Floridians as he’s traveled the state. You’ll find that video in the link below, but with the prevalence of PIP insurance fraud—especially in areas like Tampa, Miami, Fort Lauderdale and Orlando—we’re certain you could uncover a host of compelling stories from all walks of life. Crystal Snead (highlighted in the video) moved from Tallahassee to Tampa and watched her rates go up 60 percent because of PIP fraud. Not only did she have to worry about the financial pressure it added, but as an expecting mother, she now worries about finding herself the victim of one of these staged accidents that could injure her or her baby. A man from Fort Lauderdale told Governor Scott he runs a small business that consists primarily of a traveling sales force. It’s the kind of operation where they can’t do business if they’re not on the road. But the skyrocketing costs of PIP insurance are eating away at the company’s revenue and he’s having a hard time staying profitable, let alone growing the business and creating jobs. Posted by Bill Smith : Post Link --> 8:13 PM 0 Comments - Share Yours! International Brotherhood of Teamsters: A majority of the nearly 20,000 correctional, probation and parole officers with the Florida Department of Corrections (FDOC) have voted to join the Teamsters Union, seeking strength and power on the job. The Teamsters' victory in the election was announced today. "This is a great day for Teamsters and FDOC officers," said Teamsters General President Jim Hoffa. "FDOC officers have shown that in tough times, they want a tough union to represent them. On behalf of the 1.4 million Teamster members, I congratulate these officers for joining the growing movement of public service workers nationwide seeking Teamster power." The vote for Teamsters Local 2011 was a decisive win over the Police Benevolent Association and the International Union of Police Associations. Tags: Florida, Department of Corrections, unions, Teamsters, To share or post to your site, click on "Post Link". Please mention / link to America's Best Choice. Thanks! Posted by Bill Smith : Post Link --> 3:53 PM 2 Comments - Share Yours! Tags: Eric Holder, ATF, fast and furious, border agent, border control, gun running, Mexican cartels, Allen West, US Representatives, To share or post to your site, click on "Post Link". Hat Tip Blogs For Borders. Thanks! Posted by Bill Smith : Post Link --> 8:28 AM 0 Comments - Share Yours! Kevin Derby's blog: With reports growing that some members of Congress engaged in insider training, former state House Majority Leader Adam Hasner, now running in a crowded Republican primary to take on Democratic incumbent U.S. Sen. Bill Nelson in 2012, offered his thoughts on the matter. “The reports that some members of Congress are using their positions and access to insider information to benefit themselves financially isn't just disheartening; it's disturbing,” said Hasner in a statement released on Tuesday. “It's also indicative of why the overwhelming majority of Americans no longer trust their elected representatives serving in Washington. If true, it appears that many of the same establishment politicians who failed at controlling our ballooning national debt didn't fail at enriching themselves in the process. "I fully support making it illegal for an elected official or staffer to use inside information for personal financial gain,” added Hasner. “I would also go a step further and require members of Congress and key staff to place their assets in a blind trust so Americans can be confident they are doing the people's business, not their own." Tags: Adam Hasner, Senate candidate, Republican, Florida, prevent Congressional insider trading, To share or post to your site, click on "Post Link". Please mention / link to America's Best Choice. Thanks! Posted by Bill Smith : Post Link --> 6:23 PM 0 Comments - Share Yours!